There’s poetic and practical wisdom in considering where you habitually spend time with God. My wife and I have only been in this house for a year. I wonder what went on here before we moved in. Maybe I don’t want to know all the gory details, but it’s an intriguing thought, nonetheless. I’m inhabiting the exact space as a number of other people before me, touching some of the same surfaces, sitting in some of the same places. A dining room can only be situated so many ways, which means we probably ate in the same spot, facing the same window. When I think about these past folks—“ghosts”—it gives me a sense of perspective. It reminds me that we’re all players who show up on stage only for a brief time before exiting. I recently became one of those “ghosts” myself, by moving out of our previous place—a rental duplex. I was the latest in a long line of tenants stretching back to the early sixties. I can say with reasonable certainty that once upon a time, my predecessors in that place got excited about the Beatles. They watched Gilligan’s Island when it was cutting edge programming. They voiced strong opinions about Vietnam. Maybe somebody among them discussed Watergate at the dinner table. As the years rolled on and folks came and went, I’ll bet somebody lived there who dressed in silk shirts and platform shoes and went to a local discotheque every Saturday night. And in 1980, a guy sitting on a couch in front of the television probably gave a victory shout when the American hockey team won Olympic gold. I’m sure I’ve only touched on the tame stuff. No. But somebody before us apparently did. As I looked at those crumbs of weed, it made me reflect on what piece of history I would be leaving there. I thought about the now empty basement. No one moving in after us would deduce that over 1,500 theology books had sat on shelves there. If those walls could talk, they’d tell of tears, disappointment, elation, and relief. They’d speak of dreams, worry, pain, joy, and laughing. In other words, they wouldn’t say anything different from normal homes, except for one sizeable difference: Jesus had been intensely involved. By a conservative estimate if I calculated having been filled with the Spirit three times a week over the years we lived there, then some 780 times the Holy Spirit had been in this space, interacting and sometimes arguing with me, but always manifesting the presence of Christ. The Savior of mankind had been in my basement more than He had ever been on any beach in Galilee. It had all happened there, in that dungeon-like room of white cinderblock walls. I’m not an advocate for shrines, but my local driving takes me past that old place once a week. I can’t help but look at it from the street and remember the many times I met Jesus there. Thankfully His glory is portable, and I’ve taken it with me. These days I’m establishing new holy places. A nearby park serves as my En-Gedi, my new carpeted basement as a holy of holies. It might be nice if physical locations could be haunted by good things. I heard a line once—“When something happens in a house, sometimes it leaves behind a smell like burnt toast.” If that’s the case, I hope the smell I leave behind in all the places I live would be a fragrance of something beautiful (c.f. John 12:3). Yet locations still have their practical importance. For instance, Jesus commanded prayer in “your room,” away from the gaze of onlookers (Matt. 6:6). Privacy is important. It starves spiritual pride and showiness, while fostering authenticity before God. Besides, “your room” offers the most convenient place for devotionals in the whole world, therefore encouraging the habit of prayer. Jesus also apparently frequented the garden of Gethsemane to pray. Although He may have chosen outdoor locations out of necessity—“the Son of Man has nowhere to lay His head”—sometimes we can deliberately choose a location like a park or garden or nature trail as a better option than a prayer closet. Fresh air and beauty can stimulate your appreciation of God, even while you’re praying through desperate, dire circumstances. At other times, Jesus went up on a mountain to pray. These are spots radically removed, and therefore much less frequented. True, His decision to go there may have been more deliberately symbolic. But for the rest of us, stark differences in space and depth affect our human psyche with awe. That’s why you may have a different experience of prayer at the Grand Canyon than when kneeling on the linoleum floor of your laundry room. I suppose it’s okay for me to feel something symbolic and sentimental about my old house since it was a site of spiritual significance for me. Bottom line though, it’s a fifty-five year old hunk of plaster, wood, wires and pipes that God used as a tool in my spiritual development. Now thanks be to God who always leads us in triumph in Christ, and through us diffuses the fragrance of His knowledge in every place. (2 Cor. 2:14). 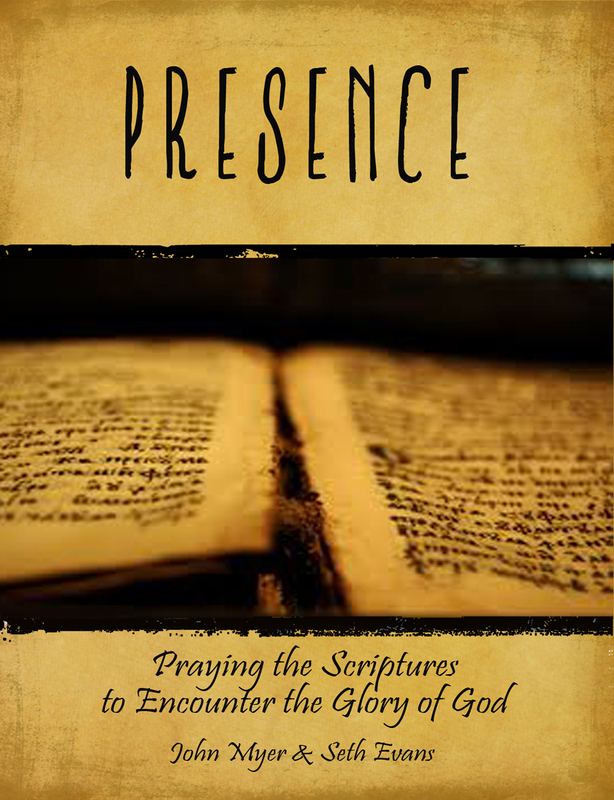 Learn more about devotional life through Word and prayer in my new workbook, Presence: Praying the Scriptures to Encounter the Glory of God.